Oh, my stars in heaven! What kind of writing is that? In plain words, it’s “stupid” writing, littered with passive verbs that we call “being” verbs. If you want to murder your story before it ever gets off the ground, use these verbs frequently. Your reader will fall asleep before he gets to the second page. For some reason, newbie writers and passive verbs go together like bread and butter. I’ve never been able to figure out why so many beginning writers, including myself years ago, have/had the uncanny habit of using these verbs so frequently. When you analyze what’s happening, you can actually see that it takes more forethought AND more words to write in the passive “being verb” voice. And the writing is just plain boring, is it not? So, what are the being verbs that turn your “wow” story into a “ho hum” nightmare? Now, I’m not saying that you need to purge your entire manuscript of every being verb, but use them sparingly. Look for verbs that are in the passive voice and change them to active. Reword your sentences that the direct object or the object of the preposition becomes the subject. That will immediately change your sentences to “active” ones. There you see how we eliminated almost all the being verbs. In the very last sentence, the object of the preposition, him, became the subject, he, in the rewrite. Last night Billy was bitten by Larry’s dog Bowser. Did you see how Cathy was wrapping that wet towel around her arm? The beautiful maple leaves were turning a bright red in the fall. Last night, Larry’s dog Bowser bit Billy. Did you see how Cathy wrapped that wet towel around her arm? The beautiful maple leaves turned a bright red in the fall. There you have the ins and outs of the misuse of the passive voice. Take a good look at your writings, hunt for the little “being” verbs, and send them on a hike. Your writing will spruce up like you’ve never seen before. Until then, happy “active voice” writing! * A note from Marsha: It’s the summer! Everyone’s busy, including me. So for the next few months, I’ll post a new writers’ tip blog every other Monday. If demand warrants it, I’ll continue once a week in the fall. He’s a Nice Man? She’s a Nice Lady? Over my twenty-year writing career, I have met many newbies to the fiction writing world who have struggled with one particular component, the mastery of which is essential to cranking out a “good” piece of fiction, whether it be a short story or novel. I remember in my early writing days that I also struggled for a short period of time with P.O.V. as I developed my characters and gave them their proper place in my fiction works. Then the light bulb went on, and I figured out how to use the P.O.V. correctly. Now don’t get me wrong. Even to this day I still slip up once in a while, but my crack critique group zeros in on some of my P.O.V. boo boos and helps me get it right. Slipping in and out of different P.O.V.s is extremely easy to do whether you’re a newbie or an experienced writer. Thus, mostly because of a request from a close writer friend, I’m reviewing the proper use of P.O.V. today. Learning to use P.O.V. effectively involves two gold nuggets of information. The first one is that, as the writer, you MUST put yourself in your character’s head and see everything through that character’s eyes. If you can remember that one rule of engagement, you’ll never have trouble with P.O.V. again. Jump into your story and become that character! The second most important rule is that a writer should have only one character’s P.O.V. in a short story or per scene in a book manuscript. With kiddie lit and juvenile fiction, the entire manuscript is best accepted from one character’s P.O.V. through the entire book. Of course, there are always exceptions, but children want to enjoy a good story and usually “become” the main character in a short story or children’s book. So staying with one P.O.V. in children’s works, especially for younger children, is essential. With adult fiction, some best-selling authors often skillfully present up to 10 or 15 different P.O.V.s, but they will NEVER present more than one in the same scene. I’m going to give you an example of a short scene with three different main characters. The first scene uses P.O.V. incorrectly. The second example is the same scene rewritten with the proper use of P.O.V. Analyze each example and determine how the P.O.V. is used, then check out your own fiction work. Revise, revise, revise and keep working on that P.O.V. Sitting directly across from John, two young ladies reached for a tray of butter rolls in the center of the table. While John forked his mashed potatoes, he studied the girls in their white prayer kapps and Sunday-best dresses and the “awkward” situation that had developed. He bit his lip to suppress the urge to burst out laughing. For a moment, the gals held on to the tray as though it were glued to their hands. “Oh, I’m sorry.” Sweet, kind Katrina Shoffler was the first to pull away. But I made those rolls, just for you, John! Oh, how I wish you knew how I felt about you. John smiled at Katrina as their eyes met, and she slid back into her chair. Her face with drab brown eyes and granny glasses, framed by mousy brown hair, turned bright red. She looked away from John, gave her glasses a quick poke, and nervously sipped her drink. But her kind heart and baked goods sure do make up for her plain looks, John mused as he took a bite of ham. “I have got the tray,” Mandie Kauffman said as she tried to discreetly pull it from the other girl’s hand and move it toward John. I’m going to win you yet, John, if the other girls around here would just back off! Long black eyelashes fluttering, she gazed longingly at John while she brushed back a strand of loose jet-black hair and wrapped it around her ear. Ambitious Mandie, John thought. With her most attractive looks and urge to succeed, she just might be able to start that business she has got her eye on. And maybe she will get the husband she is after, to boot! Crash! Right behind John, Sadie Hunsinger dropped a cup of coffee, and it shattered all over the floor. “Oh, I’m sorry.” Sweet, kind Katrina Shoffler was the first to pull away. Although she had probably made the rolls, Katrina had the gentle spirit of a newborn fawn. She would never deliberately hurt another soul on God’s green earth. John knew that all too well from the time they were sweethearts in first grade at Maple Grove Mennonite School. John smiled at Katrina as their eyes met, and she slid back into her chair. Her face with drab brown eyes and granny glasses, framed by mousy brown hair, turned bright red. She looked away from John, gave her glasses a quick poke, and nervously sipped her drink. But her kind heart and baked goods sure do make up for her plain looks, John mused as he took a bite of ham. “I have got the tray,” Mandie Kauffman said as she tried to discreetly pull it from the other girl’s hand and move it toward John. Long black eyelashes fluttering, she gazed longingly at John while she brushed back a strand of loose jet-black hair and wrapped it around her ear. Ambitious Mandie, John thought. With her most attractive looks and urge to succeed, she just might be able to start that business she has got her eye on. And maybe she will get the husband she is after, to boot! Crash! The sound of shattering glass right behind John startled him, and he turned quickly to see red-faced Sadie Hunsinger already bending down to clean up the mess she had made when she dropped her cup of coffee. Now, if you compare both examples, you will see that in the first sample, we have three different P.O.V.s, not only in the same scene but sometimes in the same paragraph! Also, when the coffee cup shatters, John’s P.O.V. is presented incorrectly. How does he know it’s Sadie who dropped her coffee cup until he turns to look at who, or what, caused the commotion? This type of dysfunctional writing only leads to reader confusion and a rejection slip from the editor to whom you’ve submitted. Nothing written this poorly would ever be published. In the second sample, you can see that we are inside the head of John, and only John, the entire time. No one else’s thoughts should be included because we are seeing all the action through John’s eyes. When he hears the shattering glass and turns toward the sound, it is at that point that he knows that Sadie dropped her coffee cup because he is seeing what happened for the first time. So, there you have a quickie analysis of P.O.V. I hope this helps clarify this pesky problem that many of us writers face as we work on our fiction masterpieces. Attention!If any of you are interested in receiving a brochure for our Susquehanna Valley Writers Workshop in central Pennsylvaniaon October 7th and 8th, please email me, marshahubler@wildblue.net . I can send you the brochure via email attachment or hard copy. In this last installment of writing an eye-catching proposal, we’ll discuss writing the Sample Chapters, the Marketing Information, and the Date of Completion. As you prepare these last three components of your proposal, keep working on your manuscript, and don’t be surprised if the editor requests the entire manuscript with your proposal. Some editors will ask for three chapters; some will ask for the entire manuscript. Just be prepared. The further you are toward that last page, the quicker you can get that proposal to the editor requesting it. As far as the marketing information and the date of completion, you need to do some homework for these two components. Visit the library and go online; look for books that have been published in your genre or sub-genre over the last three years or so. Compare your storyline and characters to those in books already published. This study is important because the editors at publishing companies are looking for something a little different than what’s already out there. OR they might be looking for a manuscript that will fill a niche in their publishing schedule that might fall into a “red hot” category, such as Amish or Mennonite fiction. Then, concerning the date of completion, if you already have your manuscript finished, you’re that much further ahead of the game. If not, a reasonable time to estimate your completion of a 60,000-90,000 word manuscript is six months after the signing of the contract. For juvenile fiction of about 35,000 words, three months is feasible. Of course, you need to evaluate how long it will take you to do any research, complete a quality manuscript, get it into the hands of some reliable critiquers, and get the final copy ready to submit. Although many markets of other Christian genres are presently flat, Amish/Mennonite romance fiction is red hot. Go to any Wal-Mart, gift shop, or bookstore, and the shelves are oozing with Amish and Mennonite fiction books that don’t stay there very long. However, many of the writers of Amish/Mennonite fiction are not exposing the fallacies of these two religious persuasions. Some stories glorify the lifestyle, the storyline reading as nothing more than a modern version of Little House on the Prarie. The Amish and various Mennonite sects do not believe in the salvation through grace and the shed blood of Christ alone. Sadly, many of the Amish and Mennonites trust in a religion of works and community, their “Ordnung,” remaining in spiritual darkness and fearing eternity and facing God, whom they do not know on a personal basis. I’m writing this fiction series with the goal to share with readers the actual belief system of these “religious” folks. As I shared with Jeannette Windle at the Montrose Christian Writers Conference last year, the truth about the Amish/Mennonite doctrines is embedded in my fiction stories and must be told. The author has her own website and blogsite, which allow visitors to purchase books using PayPal. She is willing to travel for book signings and book conventions. She also offers to promote the books by speaking at writers’ conferences and ladies’ events. 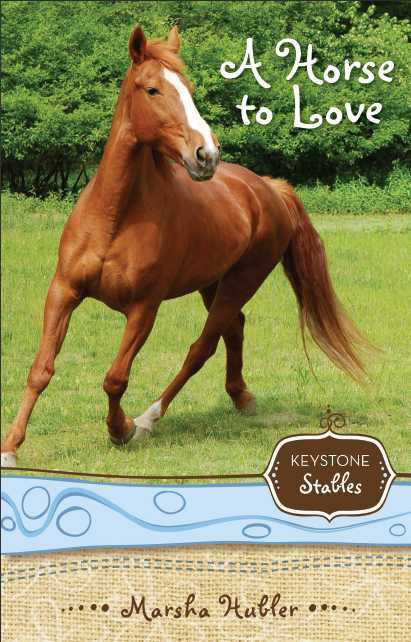 Her best-selling Keystone Stables series, published by Zonderkidz, has already gained Marsha some notoriety in the publishing world and has a following on the social network online. So reader, my analysis and examples of an eye-catching proposal are now complete. If you have any questions about any components in a proposal, please feel free to email me. I’ll be glad to help you in any way I can. Next time, I’ll analyze the correct use of point of view in fiction and give examples. Besides the overuse of passive voice with beginners, P.O.V. ranks high in the Beginners’ Mistakes list.